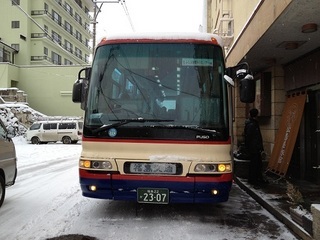 25 participants arrived at Iizaka Onsen, Fukushima in the heavily snow. The participants were welcome by hot Tonjiru – Japanese pork miso soup cooked by soy bean paste and soy source shop they visited next day. They will stay at Matsushimaya hotel where accepted the evacuees on the next day of the earthquake. Photo: with the landlady in the morning, before departure. 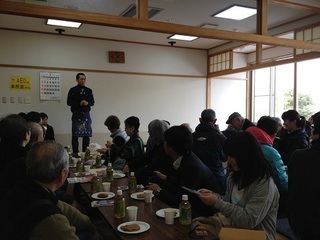 The participants attended talk sessions by local people in Soma-shi and Minamisoma-shi in collaboration with NPO representatives and staff – NPO ‘Soma Haragama Asaichi Club’, and ‘Bridge for Fukushima’, and local shop managers – soybean paste and soy sauce shop and sweet shop. 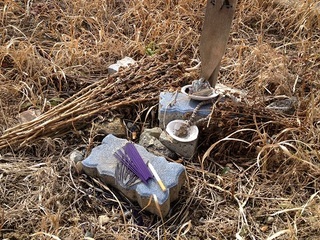 Mr. Takahashi always offered cigarettes not incense sticks on the memorial stupa at Obama beach. 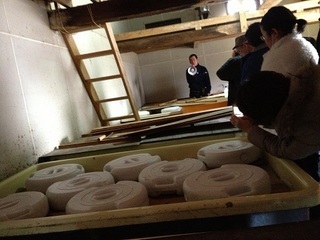 Soy paste storehouse of Wakamatsu Soy paste shop. It rarely opens for the public. 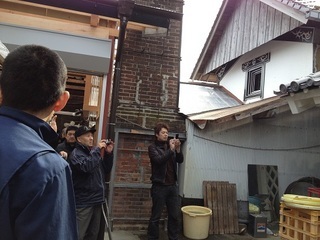 Aroma of soy paste spreads around storehouse and chimney where recently restored from damages. Talk about activities of firemen after the earthquake, under the cooperation of youth group of Kashima commercial and industrial association. 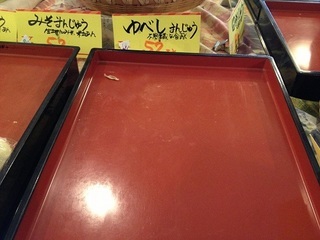 Sweet steamed dumplings, one of principal product of this area are all sold! Tour participants look satisfied with the content of the tour. 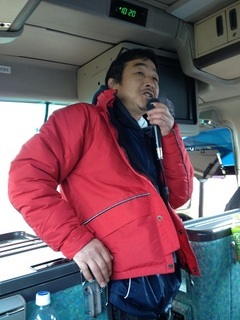 Some impressions are as follows: “it was first time to find and attend the tour to Fukushima although I have attended voluntary tours to Iwate and Miyagi. 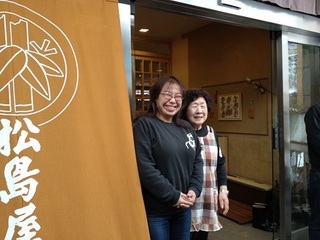 I think I realise even a part of current situation of Fukushima.”, “we could talk with local people in detail and had chance to have heart-felt meals which were different from other tours”, and so on. 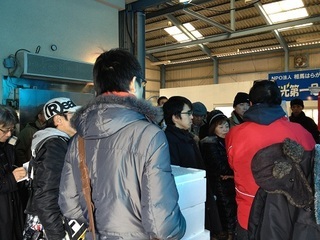 Second tour starting from February 1 is full now and we have to ask you to put your name on the waiting list. We are looking forward to seeing you at next tours which are under planning.